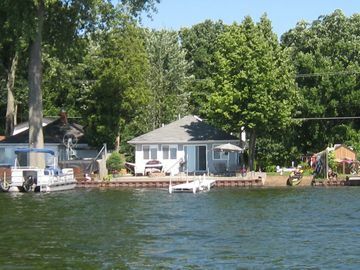 Experience the unique character of Metamora with a stay in a vacation home rental. One of the city's many top draws is its golfing. Whether you're planning a family holiday, romantic stay or friends trip, vacation rentals offer features like full kitchens and laundry facilities for a more convenient stay. Fly into Pontiac, MI (PTK-Oakland County Intl. ), the closest airport, located 18.5 mi (29.7 km) from the city center. If you're unable to find a flight that fits your schedule, you could book a flight to Flint, MI (FNT-Bishop Intl. ), which is 22.5 mi (36.2 km) away. Where to stay around Metamora? Our 2019 accommodation listings offer a large selection of 21 holiday lettings near Metamora. From 12 Houses to 4 Bungalows, find unique self catering accommodation for you to enjoy a memorable holiday or a weekend with your family and friends. The best place to stay near Metamora is on HomeAway. Can I rent Houses in Metamora? Can I find a holiday accommodation with internet/wifi in Metamora? Yes, you can select your preferred holiday accommodation with internet/wifi among our 18 holiday homes with internet/wifi available in Metamora. Please use our search bar to access the selection of holiday rentals available.